At the age of nineteen, while he was awaiting trial on charges of forgery and automobile theft, Albert White sawed through the steel bars of his cell using hacksaw blades that his mother smuggled into jail in a roll of butter. He was recaptured a week later and sent to the Ohio state reformatory for two to twenty years. A young man named Frank Hardman was sent to the reformatory around the same time, serving a similar sentence for theft. When Frank was convicted, his wife, Dorothy, went to live on his parents’ farm on Red hill in Beaver County, twenty miles south-west of New Castle. The arrangement turned out poorly. Less than a year after her arrival, Dorothy brought charges against her husband’s father, Frank Sr, saying he had been abusive and had threatened to kill her and his wife. The court ordered him to keep away from his family for two years. He went to stay with his brother in Tennessee. A few days later, Frank Sr turned up at the farm. He pleaded with his wife to take him back. She refused. He sat down to lunch with the family, and ate with his arm around her. He pulled out a bottle of liquor and offered her and Dorothy a drink, telling them it might be their last. A car drove up to the farm, driven by two young men whom Dorothy knew. She went out to sit with them. Frank Sr followed her. He drew a .38 pistol and shot all three, then turned and shot his wife point-blank in the head. He ran into an orchard, put the barrel of the gun in his mouth and pulled the trigger. He died instantly; the others lived. Dorothy and the two men had been only slightly wounded. Frank’s wife recovered, over time, as far as was possible. Albert and Frank junior were paroled the same year, after serving their minimum sentences. Frank introduced Albert to Dorothy. Before long, Dorothy had broken off with Frank and taken up with Albert. 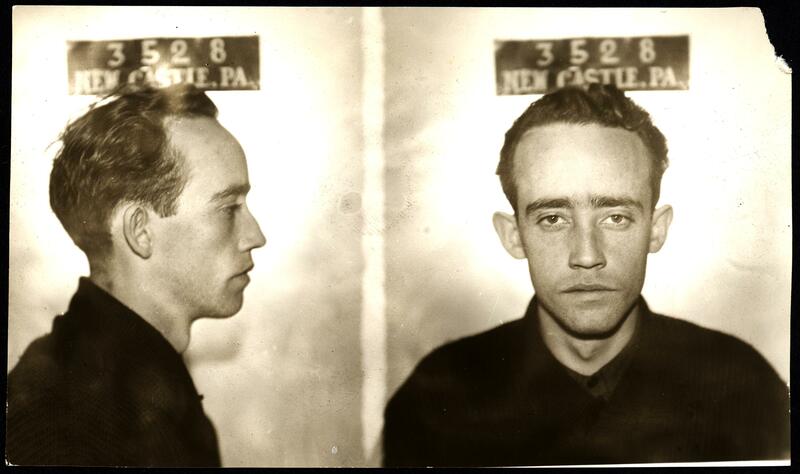 Two years later, when Albert was awaiting trial in New Castle following a burglary that he had committed with Ernest McDole, Dorothy smuggled hacksaw blades into the jail. The sheriff heard from another prisoner that Albert was planning an escape. He stationed himself on the roof of the jail and watched through the skylight as Albert began to saw through the bolt on the cell door. Albert was forced to admit where the hacksaw blades had come from and Dorothy was arrested the next time she came to visit. She was given a thirty-day sentence. There is no further record of her life. Albert was sent to the Western penitentiary for three to six years, and was returned to the Ohio reformatory to serve a two-year sentence for breaking his parole. He was released around the time of his thirtieth birthday. A few years later, he got a job at the Rockwell-Standard Axle plant in New Castle. He was still there in 1974, when he was mentioned in the local paper as one of the company’s longest-serving employees. There is no further record of his life. Sources: New Castle News: (13 December 1938, “Shoots Four Then Suicides”; 17 Jan 1941, “Deputies Trap Man In House”; 18 Jan 1941, ”On Court House Hill”; 23 Jan 1941, “On Court House Hill”; 3 March 1941, “Enter Pleas To Burglary Charge”; 8 March 1941, “Charge Woman Took Saws To Jail Prisoner”; 5 April 1941, “Granary Robbers Are Sentenced”; 25 October 1943, “Former Sheriff Ingham Named To Take Post”; 27 June 1974, “We Salute Our Employees”); Lima News, 4 May 1936, “Fugitive Trio Is Hunted In Three States”; Sandusky Star Journal (9 May 1936, “Arrested At Canton”; Sandusky Star Journal, 22 June 1936, “Four Held When Hacksaws In Butter”); Massilon Evening Independent, 24 June 1936, “Jailbreaker Given Prison Sentence”; Pittsburgh Press (13 December 1938, “Farmer Shoots 4, Then Kills Self”; 14 December 1938, “Scant Hope Darlington Woman Will Survive”; 15 December 1938, “Mrs Hardman is Unchanged”); Beaver County Times, 10 September 1981, “Obituaries”. Another outstanding entry. Love the interweaving of different lives. Great job. Agreed- one of my favorites on STN- which btw, is one of my favorite blogs. I would love to know what Dorothy looked like.